Mohamed Smadi is a world class Arabic interpreter and translator. He has served the U.S. Department of State as a contractor for the past 15 years and has provided services for more than 108 public diplomacy assignments. Assignment topics include Interfaith Dialogue, Combating Human Trafficking, NGOs, Management, Promoting Rule of Law and Judicial Reform, Religious and Public Education, and many more. 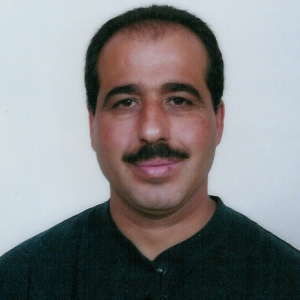 Originally from Jordan, Mr. Smadi served as an officer and company commander in the Jordanian Armed Forces. He then trained with the US Army and served with UN peacekeeping forces in Africa. He studied strategic leadership at the Royal Military Academy in the Kingdom of Jordan and earned a degree in Political Science and Government at the University of Jordan. He has received honors and awards from the Jordanian Military, the US Army, and the United Nations.